All > Apparel > Goggles / Eyewear > AirFlaps - Goggle Ventilation System > AirFlaps - Goggle Air Ventilation System - NEW! AirFlaps - Goggle Air Ventilation System - NEW! More ventilation. Less Heat. Anti-Fog. More Safety. More comfort. 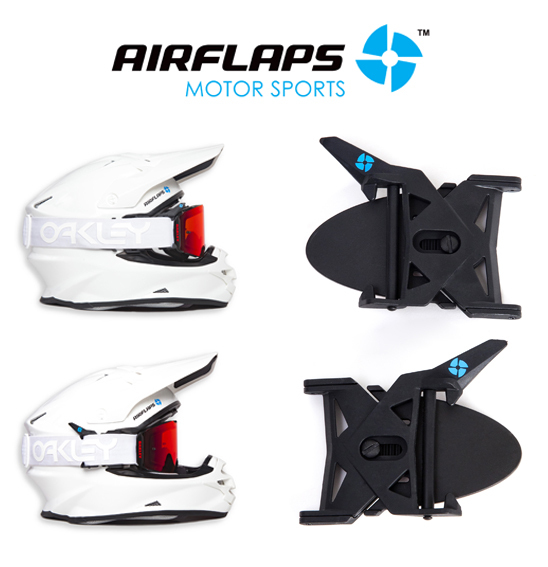 AirFlaps is a simple yet effective system that solves lack of ventilation in the helmet and fogging of goggles, by way of flaps that are attached to the helmet that allow the goggle to lift off the face to let air flow in. Stock information for AirFlaps - Goggle Air Ventilation System - NEW!